Dutch soprano Frédérique Klooster completed her Bachelor’s Degree at the Rotterdam Conservatory (NL) with Distinction. She finished her MA Vocal Performance course at the Royal Academy of Music with Merit, where she was learning with Elizabeth Ritchie. She is currently studying privately with Marjan Kuiper (www.marjankuiper.nl). During and after her studies, Frédérique has taken part in masterclasses with Cecilia Bartoli, Neil Jenkins, Miranda van Kralingen, Jard van Nes, Robert Tear, Dennis O’Neill, Dame Kiri Te Kanawa, Nelly Miricioiù, Evelyn Tubb, Stephen Varcoe and Sarah Walker. While working in the Netherlands and the UK as a professional singer, Frédérique gained experience in the field of opera and operetta. She created the roles of Hildegard (BINGEN, Hildegard von), Moeder (De Gelukkige Werknemer) and Jonge Maarten/Jantje (Waterman). Other roles include Spirit, Second Woman and Belinda (Dido and Aeneas), Timor Dei, Patientia, Victoria (Ordo Virtutum), Saffi (Der Zigeunerbaron), Museum Guard (Museum Songspiel 20XX), 1st Wood-Sprite (Rusalka), Daphné (Actéon), Josepha Vogelhuber (Im weissen Rössl), Tanager Bird/understudy Vision (Een sprankje hemel! ), Adele (Die Fledermaus). In the fall, Frédérique will sing the role of Micaela in a production of Carmen (The Musical). Frédérique has performed as a soloist in various oratorios. Her career has taken her from the Netherlands to Belgium, Croatia, Denmark, Finland, France, Italy, UK, Switzerland and Germany. Venues include Het Concertgebouw Amsterdam - Grote Zaal (NL), Utrechtse Schouwburg (NL), De Doelen (NL), Royal Theatre Carré (NL), Bridgewater Hall, St. Martin-in-the-Fields and Guildford Cathedral. Festivals include Operadagen Rotterdam (NL), Sastamala Gregoriana (FIN), Spancirfest (CRO), Dartington International Summer School (UK), Brighton Early Music Festival (UK), Lake District Festival (UK), Schloss-spektakel Braunschweig (D), Lekker Klassiek (B) and Wonderfeel (NL). Prizes include the Grabowsky Connell Prize for her studies at the Royal Academy, and the 1st Prize in Splendor's Opera Duet Competition. She was a finalist in the prestigious Nancy Nuttall Early Music Competition. Frédérique has ample experience as an ensemble singer. She was a member of Evelyn Tubb's Ensemble Vox Animae from 2007-2010. In 2011, she was selected for the Apprenticeship Scheme of the Nederlands Kamerkoor. She is a freelance soprano with the Groot Omroepkoor (Dutch Radio Choir), Laurens Collegium Rotterdam, Bach Choir of the Netherlands, PA'dam Chamber Choir and the chorus of De Nationale Opera (Dutch National Opera). National television performances include the opening of the Gouden Televizier Ring Gala 2011 (Dutch National TV Awards), De tiende van Tijl and the RTL4 show Beat the Best. In 2015, Frédérique's performance as the Floating Diva (concept by Victorine Pasman) at Wonderfeel Festival attracted the attention of national television and press. Fragments of her performance were shown on Podium on Tour and EenVandaag, and she was mentioned in both the Volkskrant and Telegraaf national newspapers. Since the beginning of 2015, Frédérique has taken over the position of Floating Diva from soprano Laura Stavinoha. 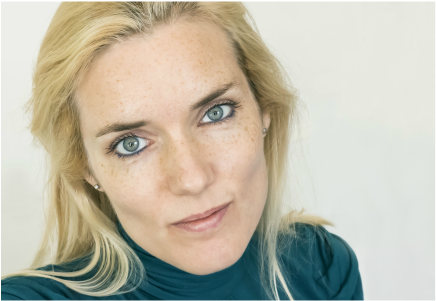 Frédérique has worked with Laurence Cummings, Stephen Cleobury, Robert Dean, Richard Egarr, Michael Fields, John Hancorn, Jurjen Hempel, Maarten Hillenius, Cilia Hogerzeil, Robert Hollingworth, Neil Jenkins, Reinbert de Leeuw, Huub Kerstens, Maarten Koningsberger, John Ramster, Evelyn Tubb, David Selig, Stephen Varcoe and Carolyn Watkinson.